Sustainable Travel: An Oxymoron or not? Unfortunately, travelling often means enlarging one’s carbon footprint due to flights taken to far-flung destinations where disposable plastic is common place. With more than 50 countries travelled between us, we would like to share these five simple but effectual sustainable travel tips that could significantly minimise the carbon footprint of your next trip. Caroline and James are well travelled, environmentally conscious professional climbers, who for the last twelve months have been carbon offsetting their travel with Mossy Earth. 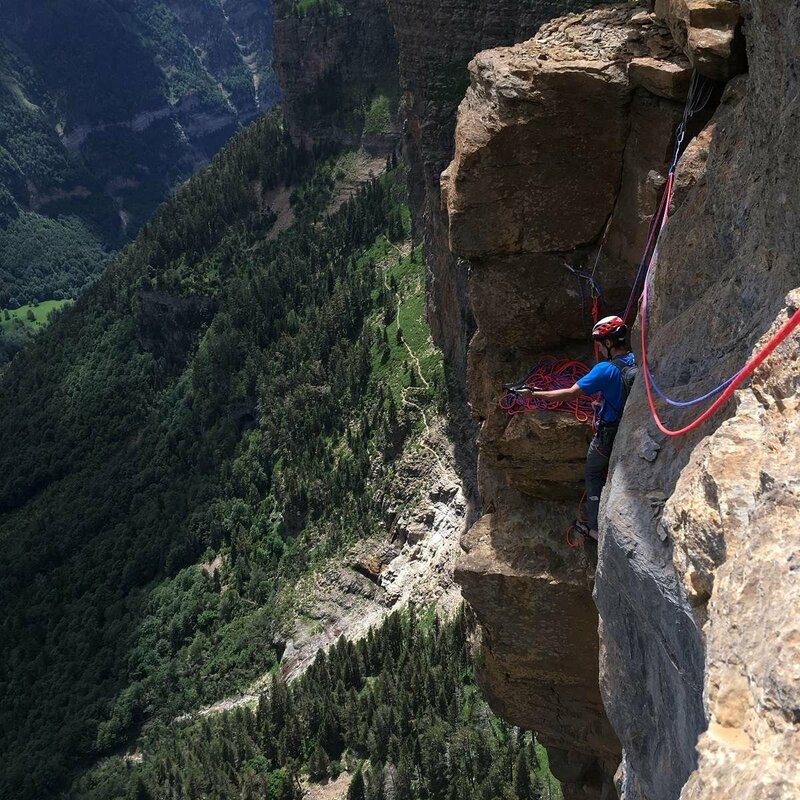 For most this would be enough, but they’re as passionate about preserving our planet as they are climbing death defying routes in remote locations. And so for them, carbon offsetting was just the first step. Next, they questioned the number of flights they take, whether they could travel more sustainably and if they could still find adrenaline fueled adventures without flying to the other side of the world …it was then that the eco-trip to Ordesa was born. Travelling by bus or rail can be a relaxing and often a luxurious way to see the countryside. There is no better feeling than dozing off with a good book to the melodic sound of the train running over the tracks. In Europe there is a wide variety of competitively priced bus and rail passes available as well as excellent websites that enable you to plan journeys and book all tickets in advance. 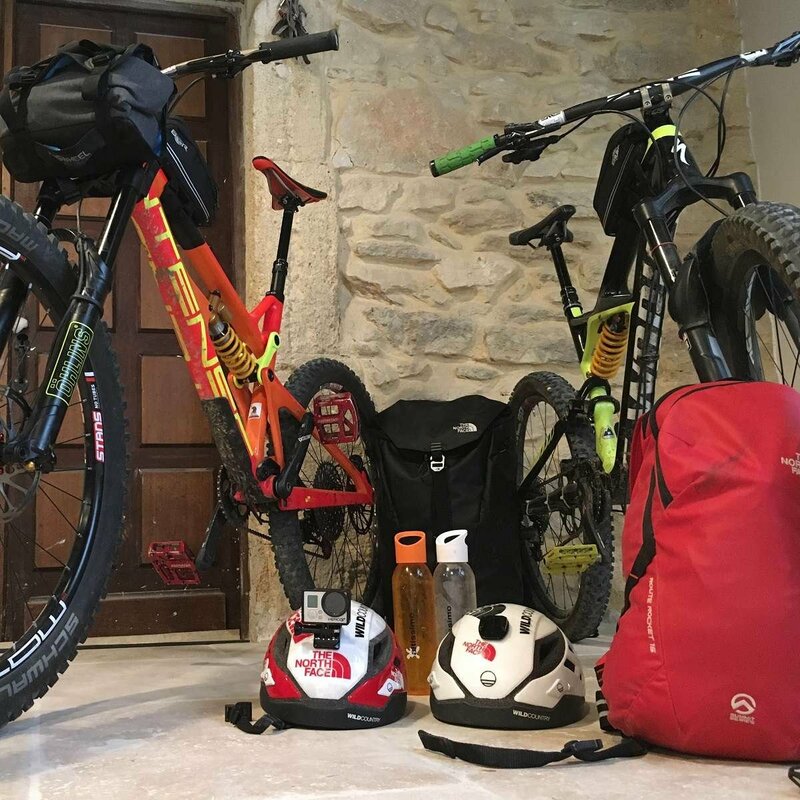 James and Caro’s trip to Ordesa was a ‘slow’ two-week adventure that saw them catch the train from their home in France before mountain biking through the Spanish Pyrenes to their destination. Once in the village, they would walk or bike to and from the local town for groceries. So, for your next trip, why not discover somewhere new much closer to home. - You’ll be surprised what’s out there and right under your nose! For James and Caro travelling by bike and train was as much a part of the adventure as the trad climbing itself. So, in addition to travelling locally, try slow travel and make your next journey as much of a quest as the destination. more, while your travel footprint has a much lower impact. The first thing to be aware of is that the heavier your bags, the more fuel, whether car, bus or plane, has to be expended to get you to your destination, so travel light. Excess packaging and disposables should be high on the list of things to avoid. 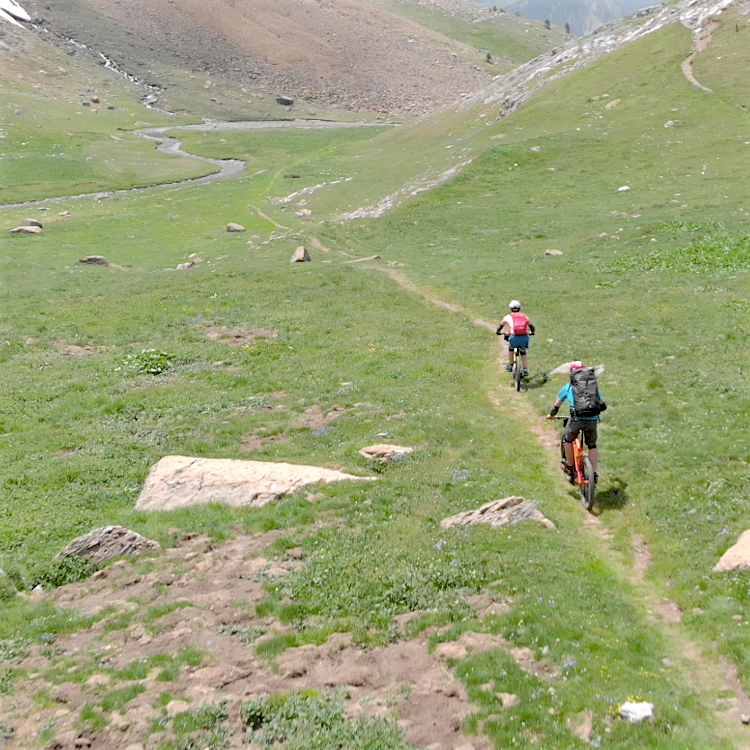 James and Caro choose to forward all their heavy climbing gear by train while they cycled through the Pyrenees. 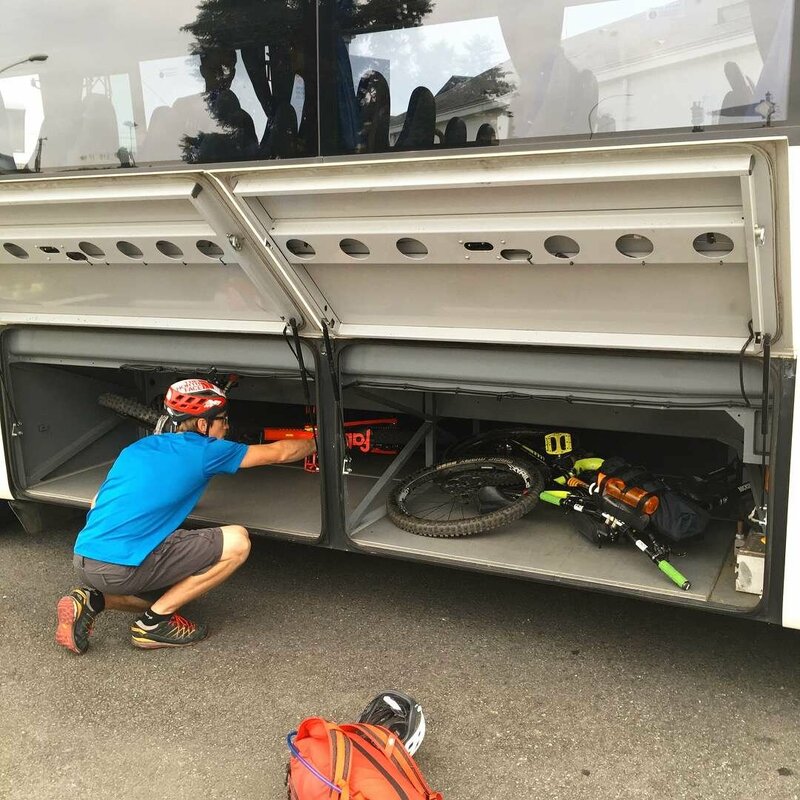 The carbon footprint of using the bikes and putting climbing gear on the train was significantly smaller than had they flown. of biodegradable and eco-friendly toiletry products available online. Finally, and wherever possible, travel paperless. Nowadays, all tickets, boarding passes, insurance policies and visa docs can be saved online or as a pdf download. At Mossy Earth we believe that every attempt should be made to reduce one's carbon footprint before offsetting is an option, and that offsetting cannot be used as an excuse to continue polluting. If we can say, hand on heart, that we've done everything in our power to minimize our footprint, then carbon offsetting must be seen as the next logical solution to effectively negate our impact on the environment. ecosystems and bringing wilderness back to Europe. We plant only native tree species in protected conservation projects to ensure your trees stay wild forever! We’ll also send you a photo and GPS coordinates of your trees should you ever wish to visit them on your next foreign adventure. This is by no means a definitive guide to sustainable travel, and we’re always eager to learn new hacks. So, if you can add to these 5 sustainable travel tips, we’d love to hear from you! 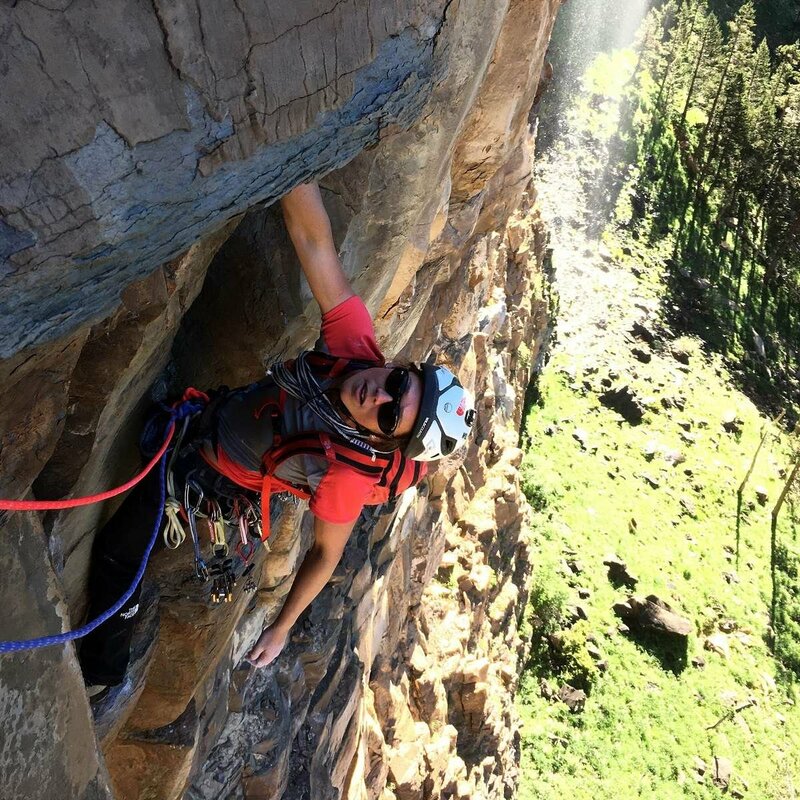 Alternatively, should you wish to learn more about Caro and Jame's eco-trip to Ordesa, check out this video by Wild Country or visit their page Once Upon A Climb.